The Chief Justice is the leader of the state's third branch of government, the Judicial Branch. In addition to her role on the California Supreme Court, her constitutional duties include serving as chair of the Judicial Council and chair of the Commission on Judicial Appointments. Learn about the Chief Justice's “Power of Democracy” campaign to help revitalize democracy in California. Support for the campaign comes from all levels of the judicial branch and from numerous partnering organizations. 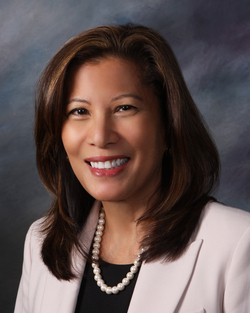 The leadership of Chief Justice Tani Cantil-Sakauye has brought greater transparency and efficiency to the judicial branch. Track reforms initiated by the Chief Justice, as well as those carried out by the Judicial Council, in this interactive, multimedia-rich timeline. Visit the California Courts Newsroom for details about the Chief Justice's recent activities, including links to articles in the press, photos, video, and audio from recent events and presentations. "What is the role of the Chief Justice?" Chief Justice Cantil-Sakauye explains during the Supreme Court's outreach session in 2017.